DQ post game interview with Dave Archer. DQ: We didn’t look at the opponent, no game planning. It was self scouting. DQ: we missed opportunities on both sides of the ball and should get better in capitalizing the opportunities. He said the main goal of the game was to see what players do in different positions and the competition. 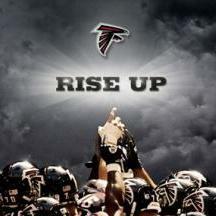 The falcons should be much better with game planning, the world isn’t ending chicken little. I agree for the most part, preseason doesn’t mean much, however, it doesn’t matter how much you gameplan if your receivers drop everything thrown their way like they did tonight. Very concerned about our receivers after tonight, because that was a huge problem last year. Unless he's been saying this all preseason.......LOL! These are all professional players out there on both sides. Gameplanning and matchups are what create wins in the league. Of course, have freakishly talented players who stand out above the rest plays a part in being a championship caliber team, but in preseason they aren’t playing as hard as they would be in a real game. These games are meant for warming up for the season and letting new players fight for a place on the team. It’s okay to look bad, as long as they get it out of their system now and get it together during the regular season and playoffs. LOL at the trolls! DQ just fkd up their entire world. Fantastic!! Dammit!! Why can’t DQ just tell the darn truth about how bad we suc!!! Outrageous!!! Lmao again!!! Team proceeds to drop passes and blow assignments. Ofcourse, he wants all to believe in this narrative....but, tape dont lie. We ALL soo how lithargic they were on field. Dropping easy catches??!!! 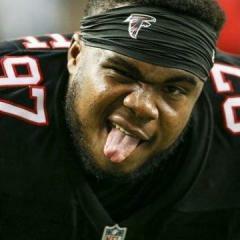 Sanu, Ridley, Hooper comeon man!! Giving up T.Ds at from opponents starting at their own 5 or 10??!! Unable to convert crucial 3rd downs?! How was this game not important to falcons till 1st and 2nd qtr?! Along with missed blocks, tackles and pre snap penalties. And not win super bowl. When did you start getting all worked up putting so much stock in preseason games? I don't think anyone really cares about our preseason record. It's just how we play. We are seeing all the same problems than plagued us last year in the regular season and playoffs. Ridley is definitely a Falcons. Dropped passes and had one tipped for a INT(although unfortunate), welcome to the club. Bro that ball clearly hit the ground.... And as a result was called back. Actually forgot about that. I was watching on the go, on my phone, when I could. Either way, still holds true,he is still fitting right in. Watching the game this morning and through the first quarter so far - 1st team D still looks great with Trufant, Debo and Rico out and Riley in. Seems like Kazee is making every other play. Going to be nice to have a D like that to help us if our offense ever has issues. On offense, the Jags D just generates so much pressure it’s hard for our offense to get going. First drive we looked good moving the ball, and having Julio and Freeman would help. Not worried at all. With the starting units basically done with preseason, they can now seriously plan for the Eagles in week one. And after next week every team in the NFL will be 0-0. The only thing that concerns me in preseason is avoiding the big injury, and we accomplished that. Freaking out because we looked bad...when we had absolutely zero game plan...is a pointless waste of energy (the one exception being dropped passes. They have got to start catching the mthr-fing football). The potential for injuries is the ONLY thing more annoying in the preseason than preseason panic. I don't put any stock in preseason records. However, it doesn't seem to be a very accurate or fair way to evaluate players trying to make the roster when you don't look at the opponent at all and have zero gameplanning. The only thing being evaluated in that scenario is "what can they do in a game situation that will be NOTHING like they'd face in an actual game."